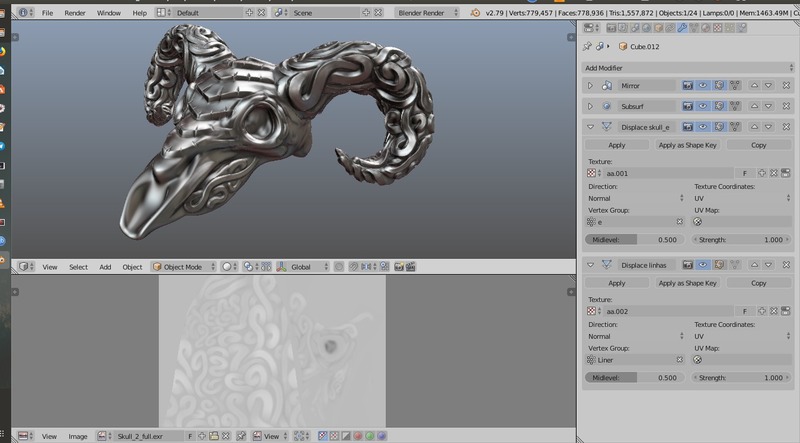 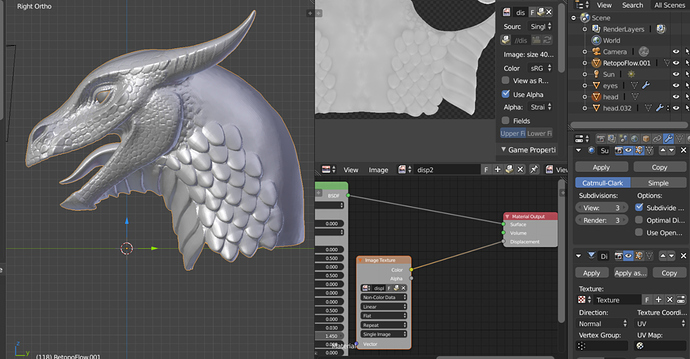 I’m having some serious issues baking (and using) a displacement map from my high-poly sculpt to the retoplogized mesh. 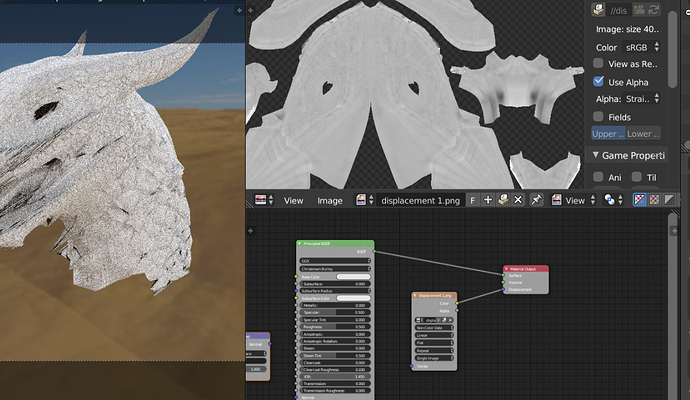 I can bake a texture, but it causes some really wierd deformations when pluging it into the displacement input in cycles (both with and without micropolygondisplacement) to the point that the entire mesh moves. 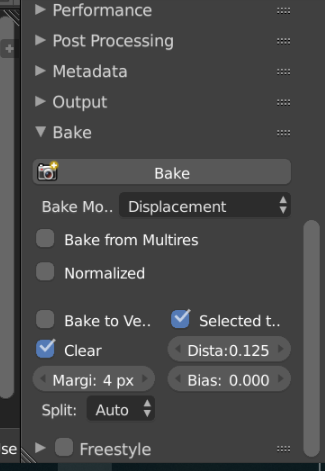 i have not been using disp baking alot on 2.8, but you might try the displacement node, and set the image to hight since it is a displacement map. 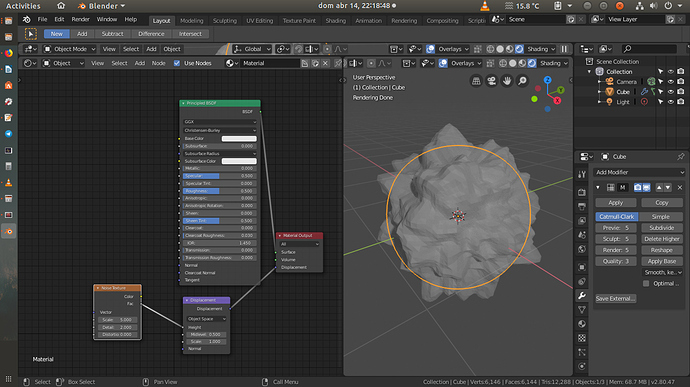 or it might also be a uv problem, and you could add an uv node in the back of the image texture vector input thingy. 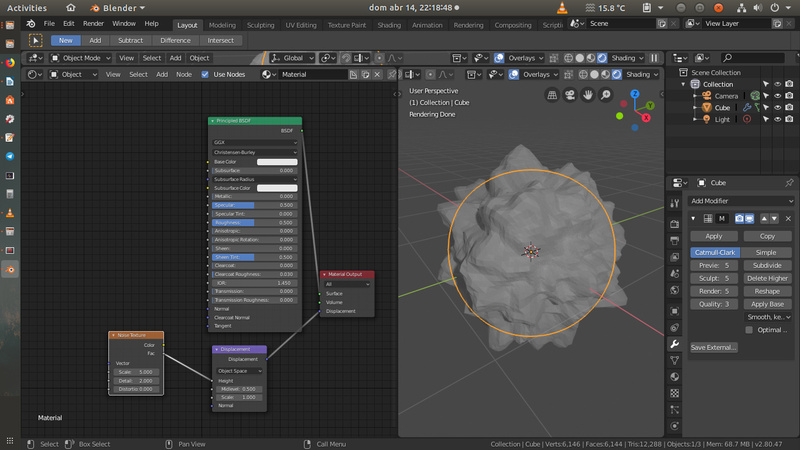 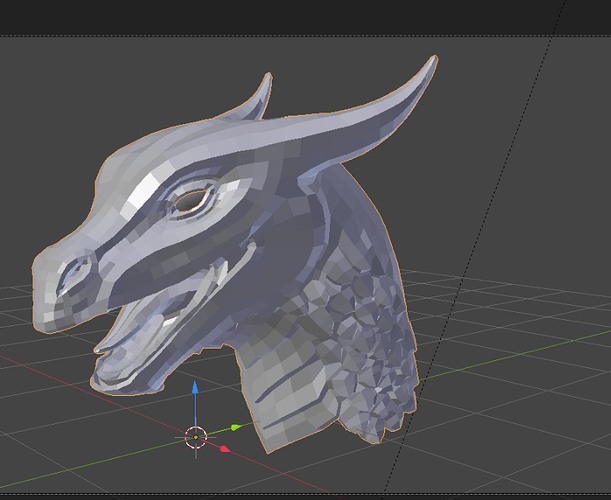 here is my setup in 2.79, im not using any material, just a displacement modifier, actually 2 in this model. 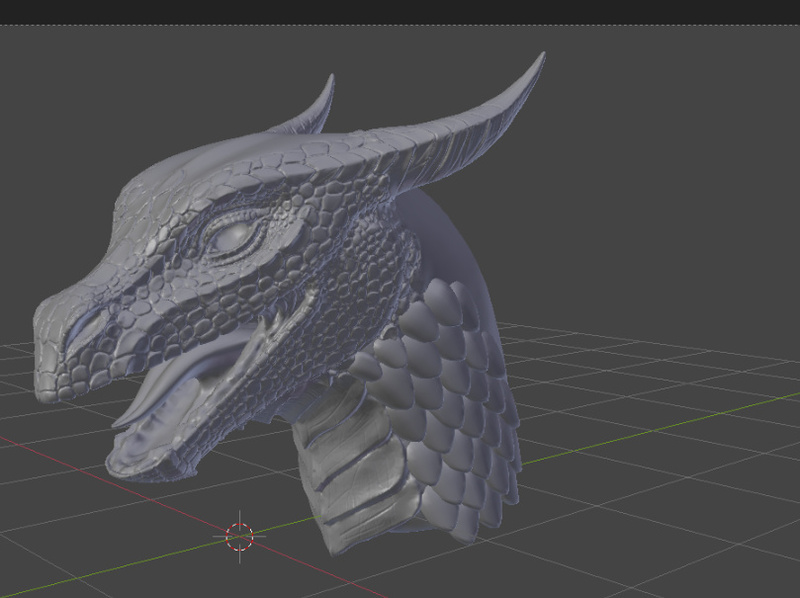 some troubles I had was with using low depth images, so, save your bakes as exr, or at least png16, with png8 I could see the pixel steps hope it helps!